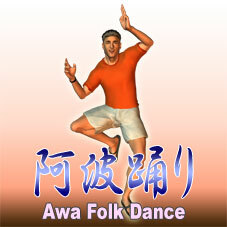 This is an animation of Awa Folk Dance (Awa Odori) for men. This is often used in the season of the festival. I made this in reference to the movie of a person dancing Awa Folk Dance. There are difference between the one for men and women, so I made animations for each of them.